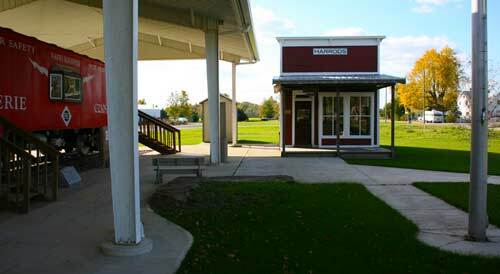 Located 2 miles south of SR 309 just east of Lima is the Veterans Memorial Park and the Railroad Heritage Park. The Veterans Memorial Park displays a 155mm M114 A2 Howitzer Cannon, an Anchor from the USS Texas, an M60 A3 Battle Tank and a UH-1 Huey Helicopter. The park was created in honor and memory of all Veterans who served in the United States armed forces. The Railroad Heritage Park has a 1905 Shay Train Engine (Serial Number 1568) built at the Lima Locomotive Works for the Tioga Lumber Company in West Virginia. Also included is the attached tender and caboose along with a 100 year old lumber office building and inside, plenty of artifacts and memorabilia. The Lima Locomotive Works was part of what made Lima famous. They made more Shay geared locomotives than anyone else in the world. They were so well known that they captured 20% of the market from the larger firms on the East coast. The Lima Locomotive Works played a large part in Lima's history. 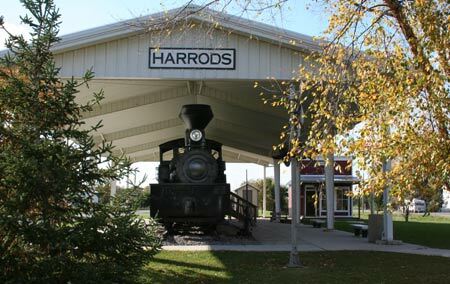 The community was named after William and James Harrod who established the Harrod Sawmill here in 1884 which operated in conjunction with the Lima & Columbus Railroad.